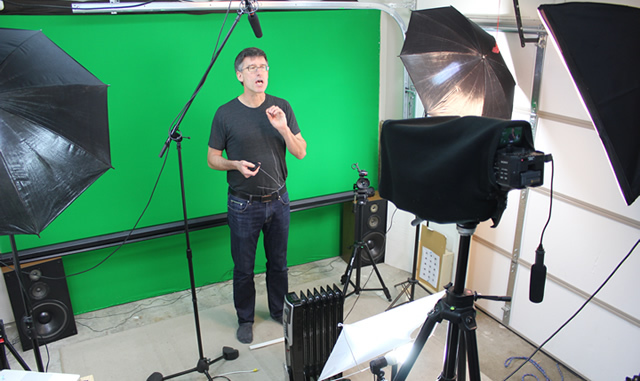 Before I get started making video I need to sort out my studio, starting with the lighting. 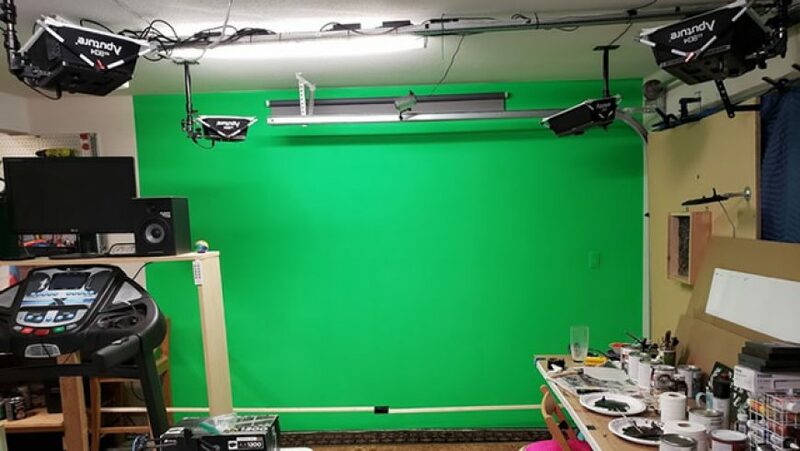 The ‘greenscreen’ is a green bedsheet stapled to some 2X4s, I have 4 lights, 2 of them clasic Redheads at 32k color temp, and 2 CFL umbrella lights at 56K. 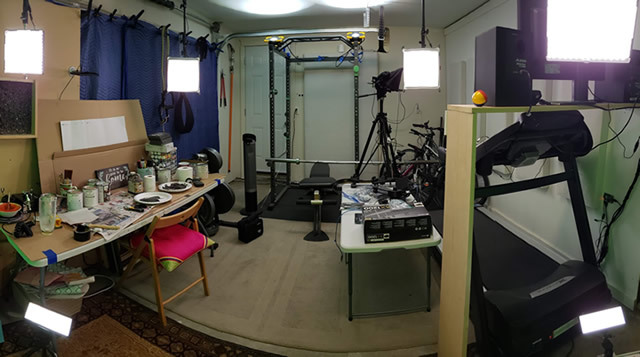 The mismatched color temperature is a big no-no, but fortunatly it threw a ton of light and I’m shooting on a really nice camera, so it actually turned out pretty well. 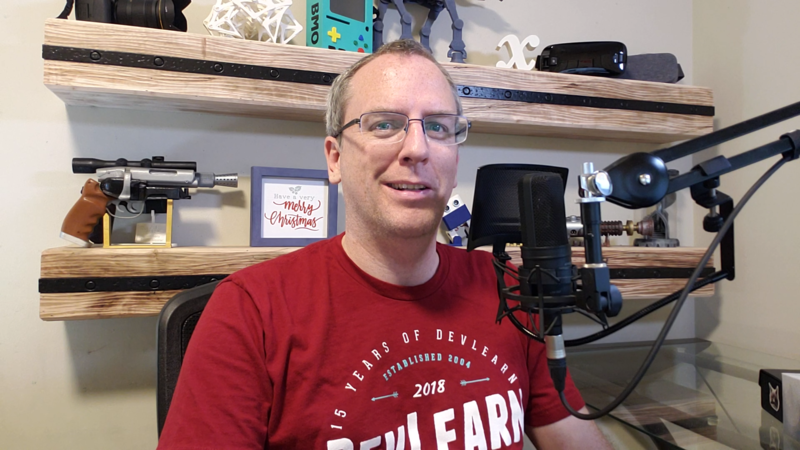 Since I don’t have such a nice camera anymore, I’m going to have to do a better job with the lighting and setup. The first thing I did was get some real studio chroma paint, that stuff was hard to source and cost an arm and a leg. It uses a very pure green pigment and isn’t mixed like store paints, so it turned out really well. 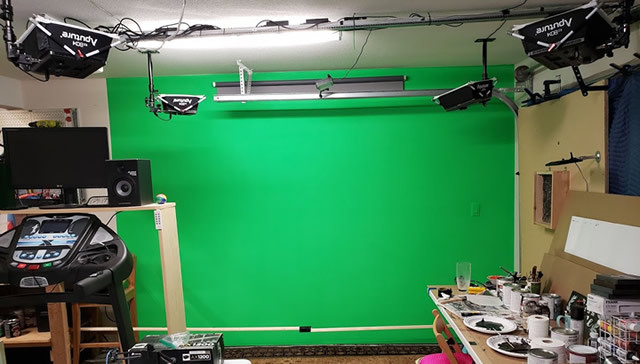 The second thing I did was get some proper matching LED panels with some softboxes, the softboxes diffuse the light making it softer, and I don’t get the after image of a thousand tiny LEDs when I’m looking at the camera. 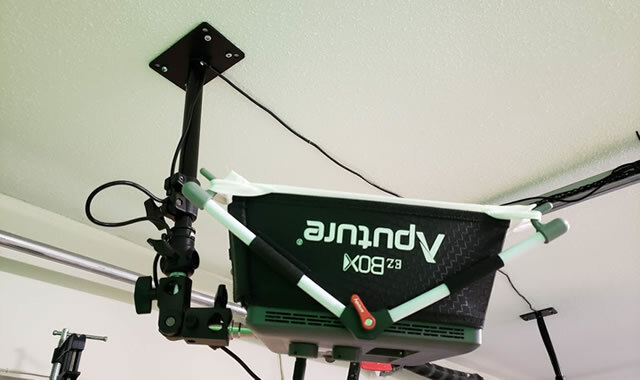 I also got some adjustable ceiling mounts so I can fold them away, I guess I don’t need the garage door with this anyway. Not terrible, but not great. 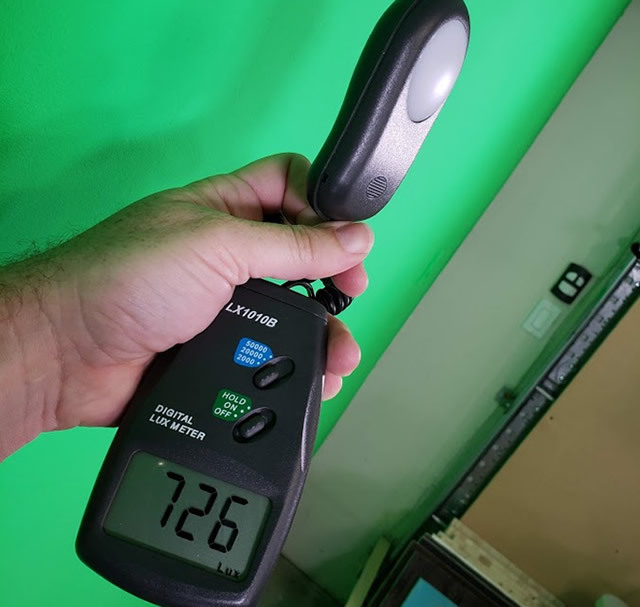 So now I’m going to get a light reading from my cheap knockoff light reader, it’ll give me a baseline to see how much I’ve improved the light level in the end. 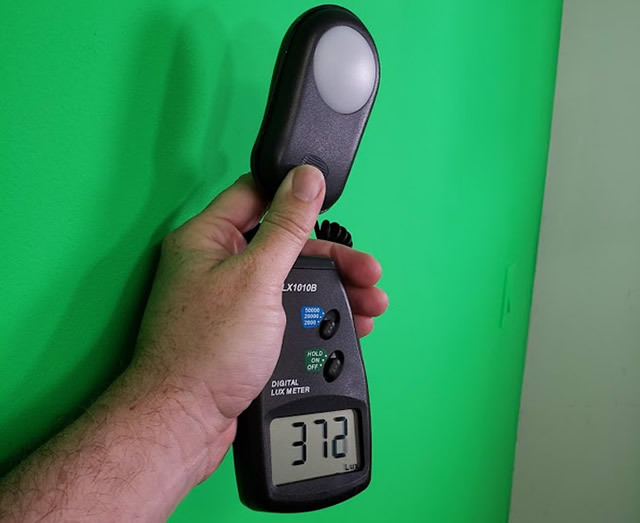 I used to use this to check the light levels across the screen, but the Green Screener app made it redundant. At least I can use it now to see the change in brightness. 372 somethings, sure, but I can tell right way it’s not enough light. 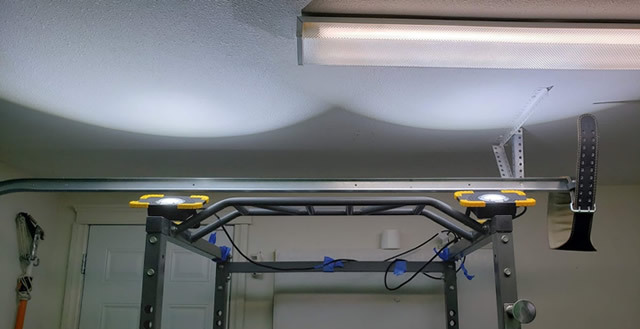 So I added 2 cheap LED worklights I found at Costco for some bounced light. 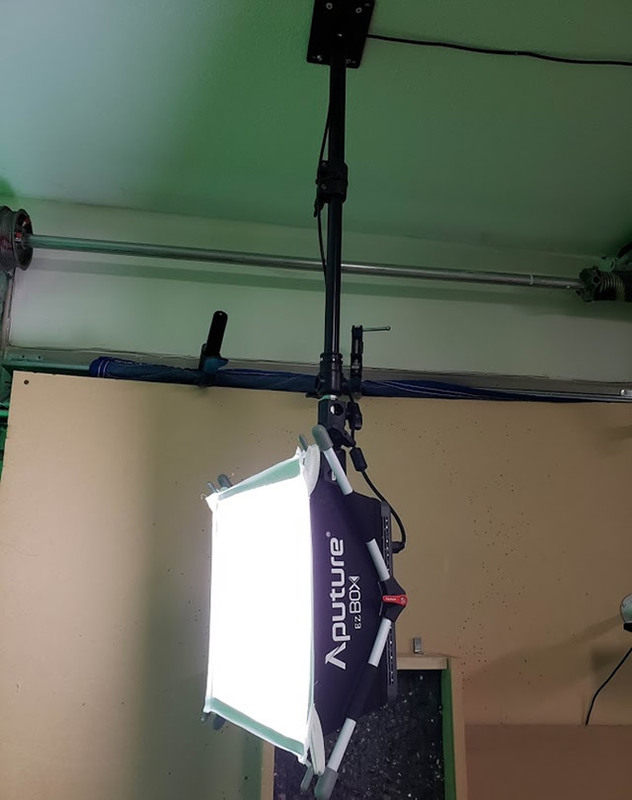 I also think the shrouds on the softboxes closest to the screen are directing the light too much, time to lose those. 726 Somethings, huge improvment!! And the screen looks way more evenly lit, think that’s good to go! 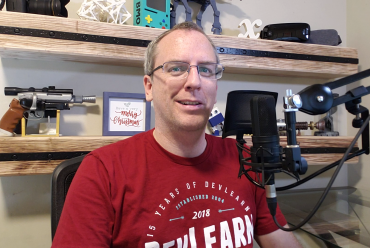 Next, on to the audio! !